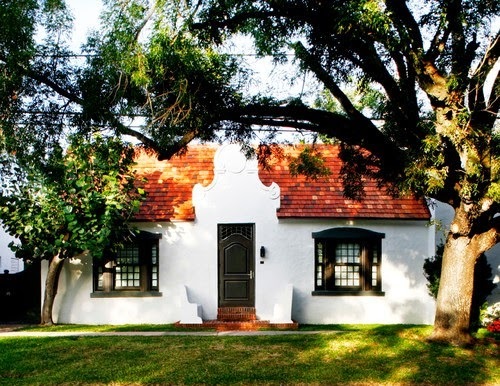 When I came across a Cape Dutch house in Coral Gables, Florida, the architecture reminded me a little of the Spanish mission houses built in the early 1900's in New Zealand. 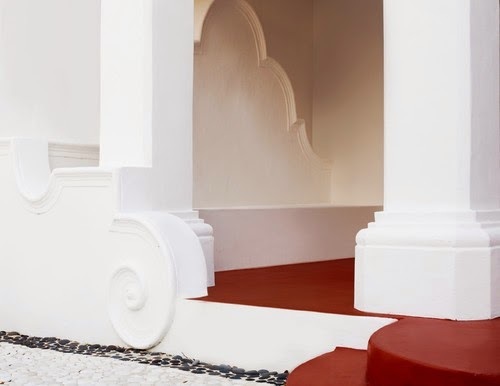 The stucco exterior and terracotta tiled roof, not to mention the architectural curves are similar to the Spanish mission houses, however, the architecture of the Cape Dutch style has a charming cottage appeal to it. 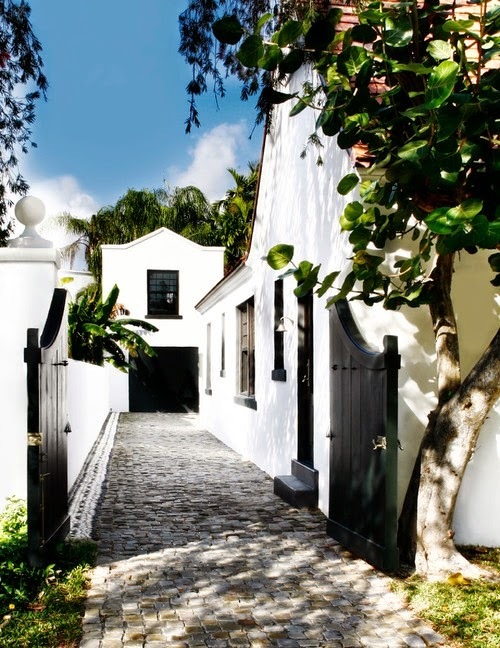 In the 1920's, Developer George Merrick planned the Cape Dutch village in the city of Coral Gables. 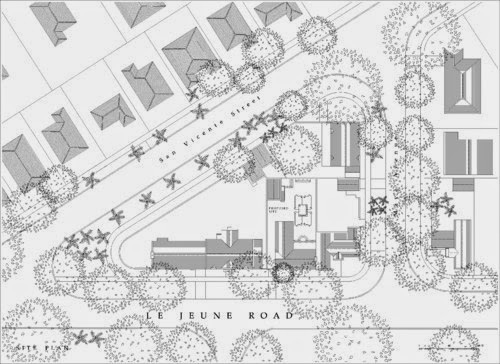 The plan was to add diversity to its predominantly Mediterranean revival homes. 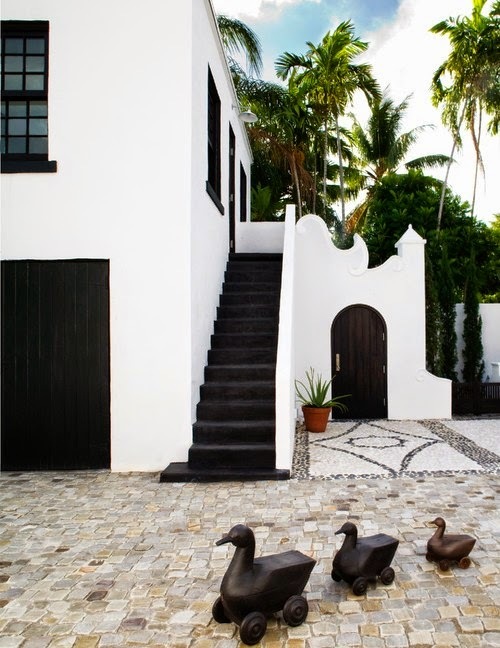 The design of the village homes reflected the early farm houses of Dutch colonists who settled in Cape Town, South Africa in the seventeenth Century. Today the project was to completely restore the historic house in Le Jeune Road, this included an elevated covered terrace and the design of a new garden and outbuildings and was secured by Cure & Penabad Architecture and Urban Design. 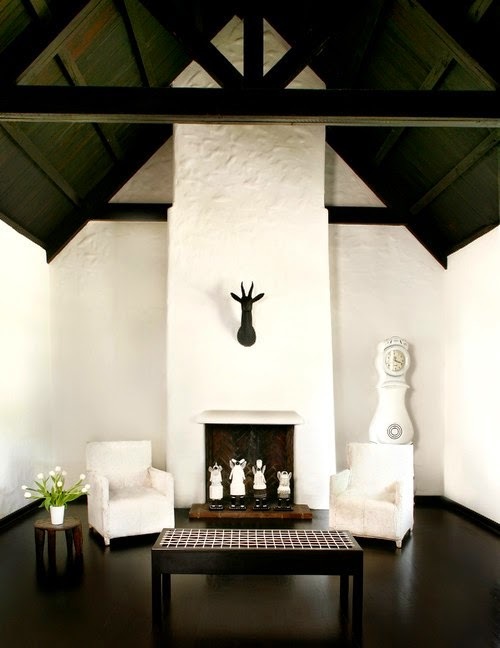 The use of contrasting black and white both inside and outside of the Cape Dutch home retains its architectural simplicity and enhances its lines and curves, to add more would take away its charm. Unfortunately there are only a few images of the house and most are the exterior, however I am sure you will enjoy them. 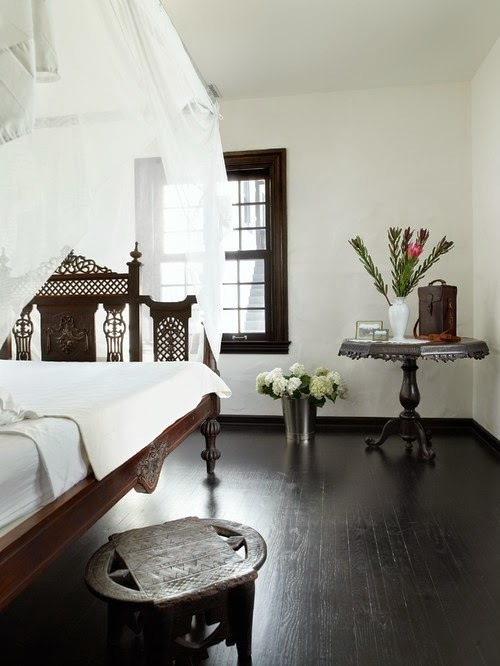 If you wish to see more work by Cure & Penabad Architecture and Urban Design, please visit their Houzz profile, I have placed a link above.